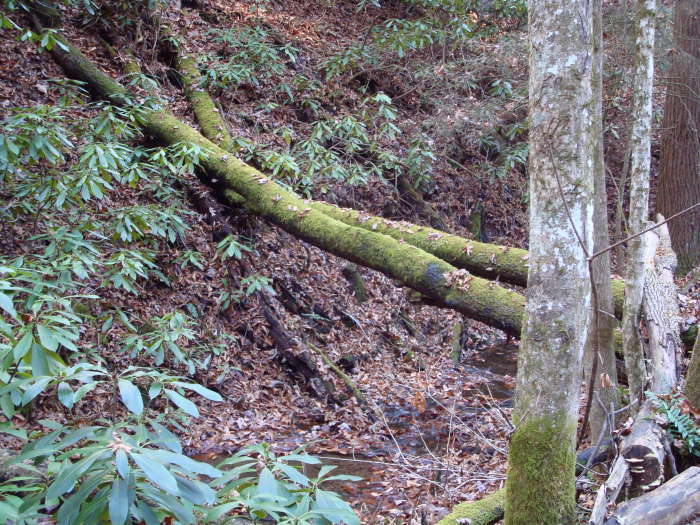 You’ll have to go to Southwest Virginia to hike this trail. 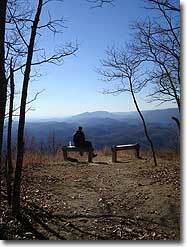 It's one of the best maintained trails we have been on with some great views, the best being at Molly Knob. The trail is not too strenuous except for the Molly Knob Vista Trail. 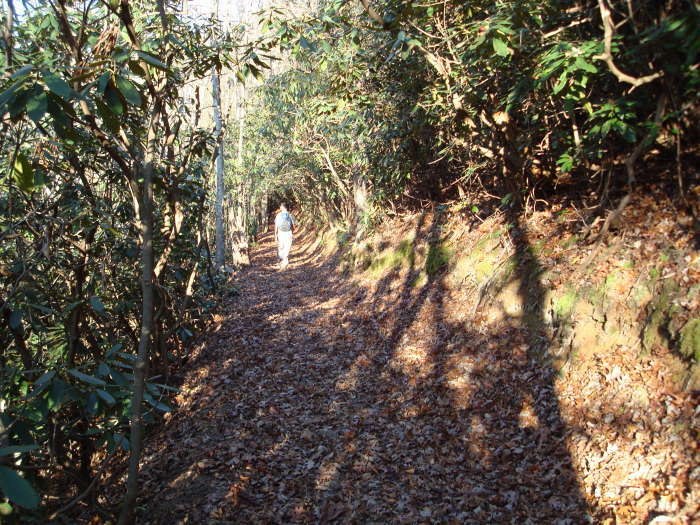 There are sections of the trail with thick coverings of rhododendron on either side that will be absolutely beautiful when blooming. 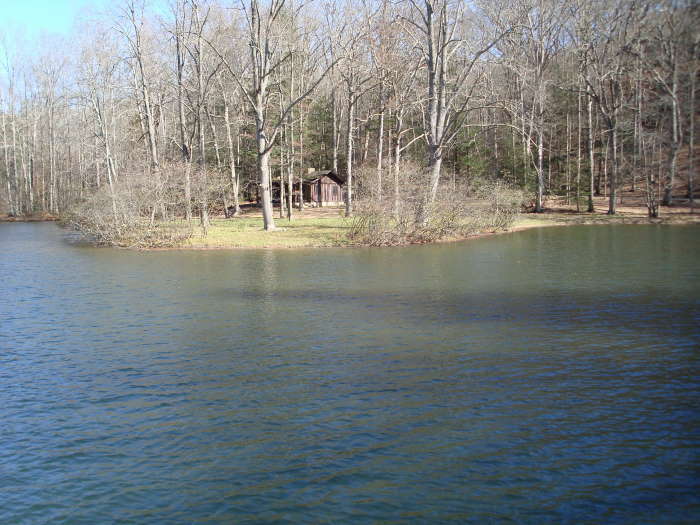 There is a large lake that is part of the park with the last 2 miles of the trail paralleling the lake shore for much of that. 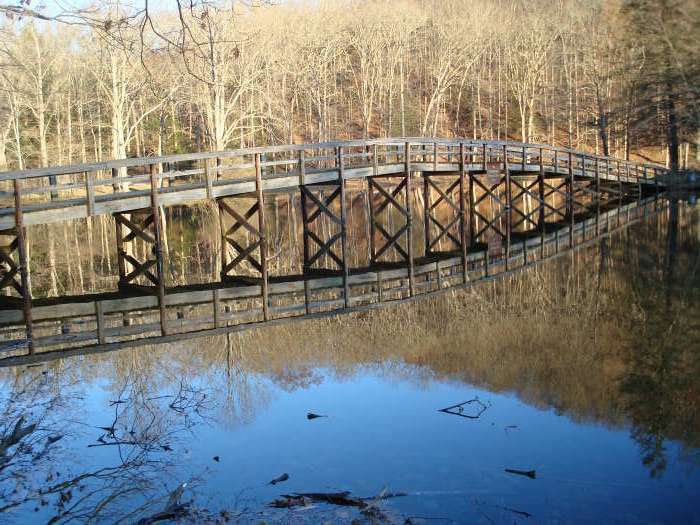 At the end of the hike we stopped at the amphitheater bridge and got a great reflection photo. 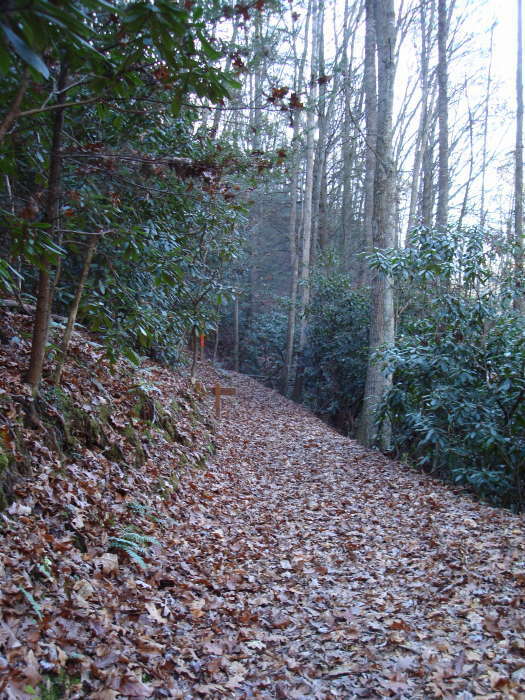 The trail starts at the parking area for the Molly Knob Trail near the CCC Cabins. After parking, go uphill on the road for about 100 yards to the Trail Kiosk. 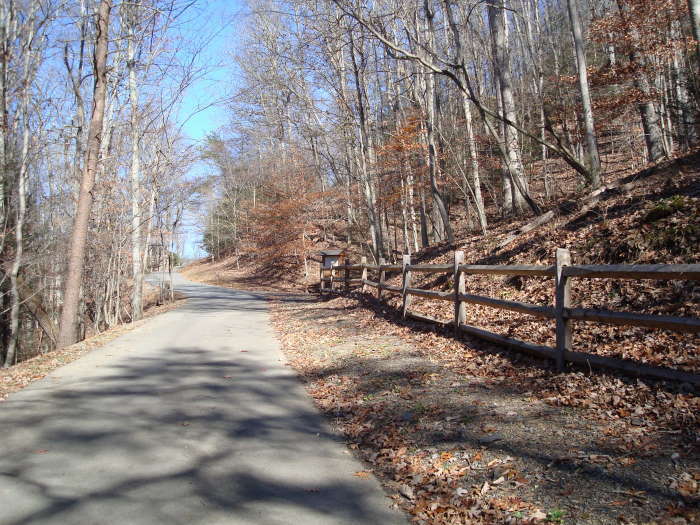 Take a right at the kiosk onto the white-blazed Molly Knob Trail. 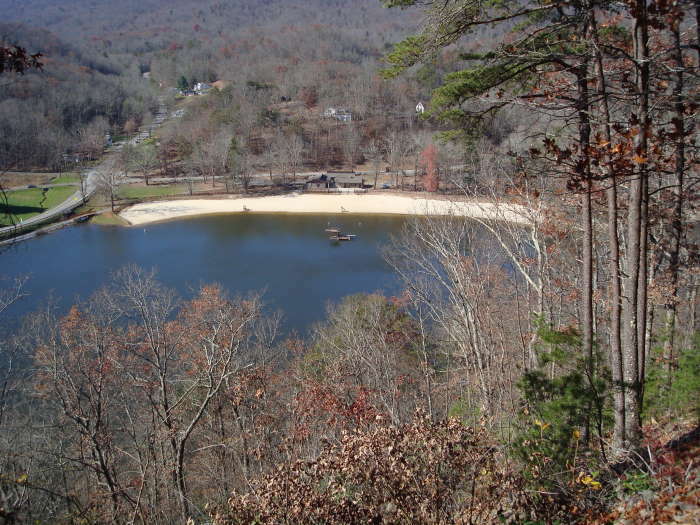 You will catch a couple of good views of the lake before you reach the Ridge Trail intersection in 0.4 miles. Bear to the left to stay on the Molly Knob Trail. There is a viewing deck at this intersection looking up to Molly Knob. Continue for another 0.9 miles on a wide but steady upward trail until the Molly’s Vista Trail intersection. 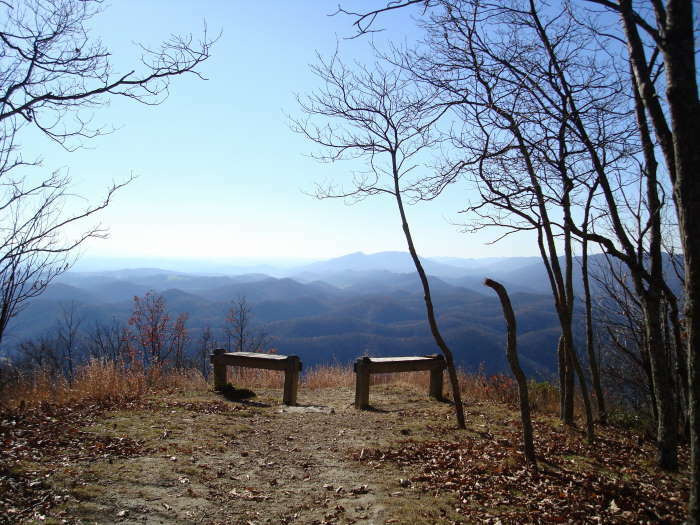 Take a left onto the purple-blazed Molly’s Vista Trail and go 0.4 to reach the top of the Knob and the best views of the day. This is the toughest part of the whole hike. If you go a little downhill beyond the benches you should catch a glimpse of the lake. Enjoy the views, eat some lunch, and then retrace your path back to the intersection. 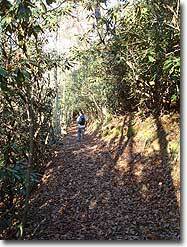 Take a left to get back onto the white blazed Molly’s Knob trail and in 0.5 mile reach the CCC Trail intersection. Bear to the left onto the orange-blazed CCC Trail, do not take the right onto the CCC Trail unless you want to cut off about 1 mile from the hike. 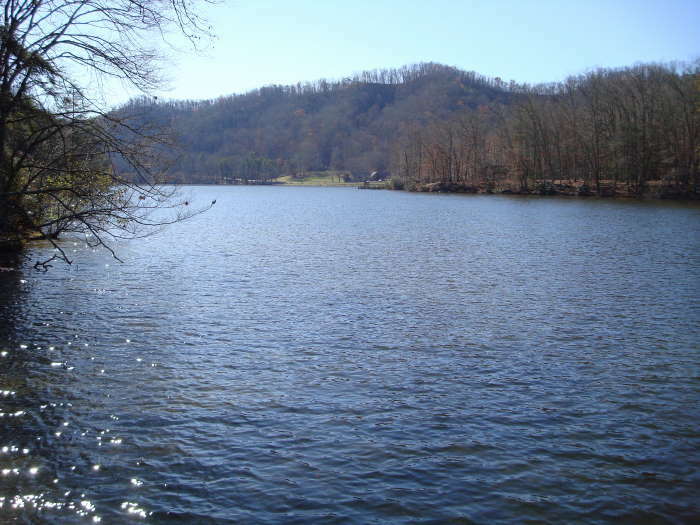 You are going the right way if you see a sign saying “Boat Ramp Parking 1.2 miles”. 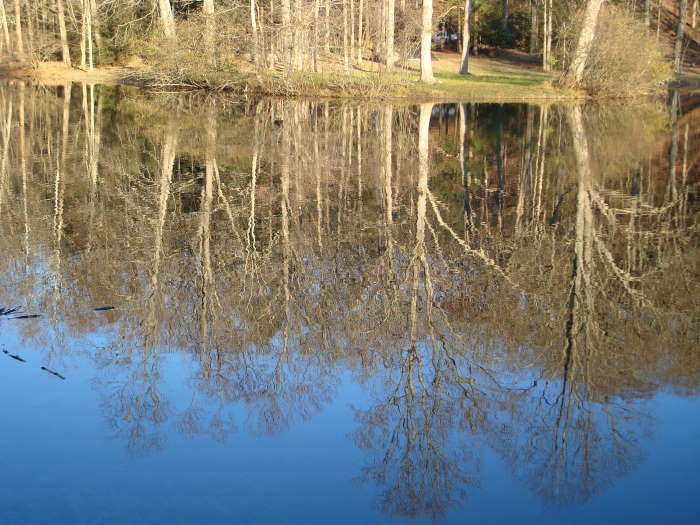 You will reach the Lake Trail Loop intersection in 1.0 miles as you follow a creek. Bear right onto the blue-blazed Lake Trail Loop heading towards the Beach Overlook. You will see the boat landing area not long after being on this trail. The CCC Trail intersection is on your right in 0.8 miles but stay straight. 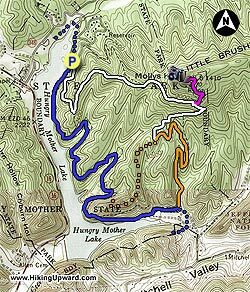 Go in and out of 2 deep switchbacks around creeks before reaching the Ridge Trail Intersection on your right in 1.4 miles. The last intersection is reached in 0.4 miles, bear to the right and go 100 yards to complete the hike, returning to the Parking Area. This was a diverse and challenging hike. I love that the trail follows the lake for such a long time and then also gives you such a fantastic mountain experience as well. Took the opposite path that this site suggests and went along the lake first instead of going up to Molly Knob first, and this probably made the hike much more strenuous. The humidity and minimal breeze on that side of the mountain made the uphill climb extra difficult but getting to the top was more than worth it. 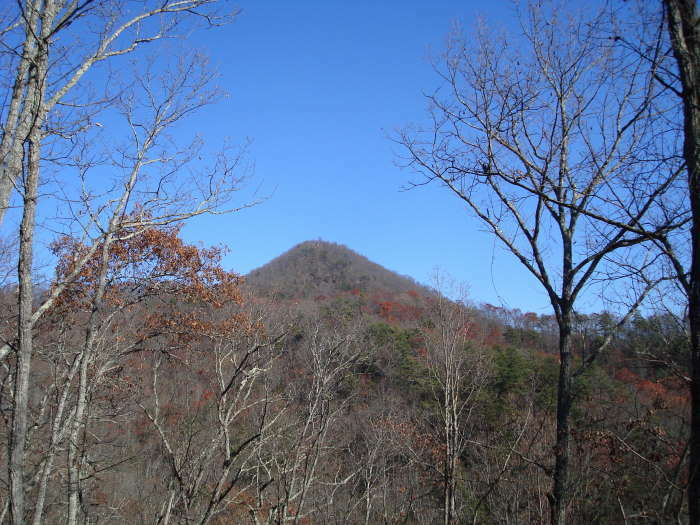 This is a fabulous day hike if you are not terribly experienced and looking for a good challenge! If I'm honest, we picked Hungry Mother because of the name. However, the terrain, foliage and views won us over. 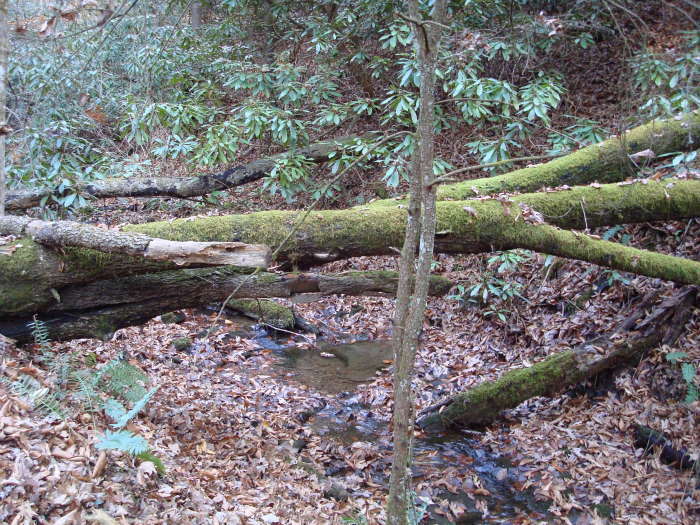 We followed the recommended path above and enjoyed both the high country views and the lower, densely foliaged, damp lower grounds. It would be a very hard push for those don't get out much, but worth the effort. Im usually a summit guy and base my experiences on the views, but for this park I will make an exception. It was phenomenal all around. 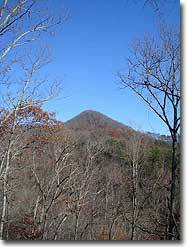 The hike up to Molly's knob was very reminiscent of Sharp Top from the Peaks Of Otter, short, gritty trek all around. Great views and you could still make out Mount Rogers to the SSE. The trail was impecable. 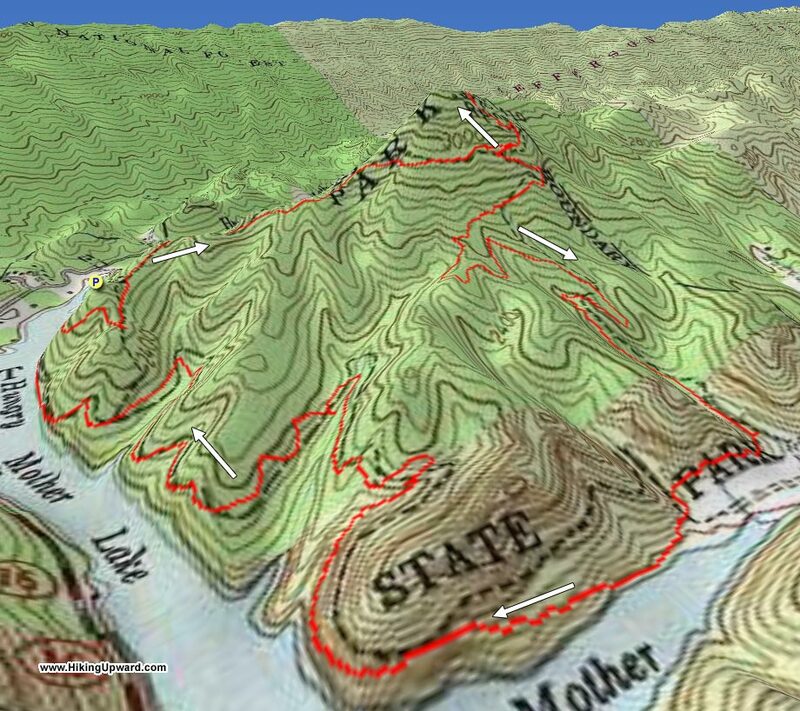 I did a partial full loop going right instead of left at the CCC trail, cutting off about a mile and then merging with the Lake Trail (blue blaze). Ive been on alot of trails and this one is definitely one of my favorites if nothing else for the foilage. If you're in the NRV , make this one a weekend. Its as good if not better than the Cascades. We went here on a beautiful day in May. I didn't pay attention to the topo map so the elevation gain was surprising. The hike to the top of Molly's knob was definetly worth it though. The trails were well marked and not crowded, we ran into two couples in the woods, but a decent amount of fishers down by the lake. We did the loop completely around the lake which had some good views and some nice spots for fishing or lunch breaks. It took us about 4 hours to do the entire loop with plenty of swimming breaks for the dog and a good half hour lunch/photo shoot break at the top of the knob. 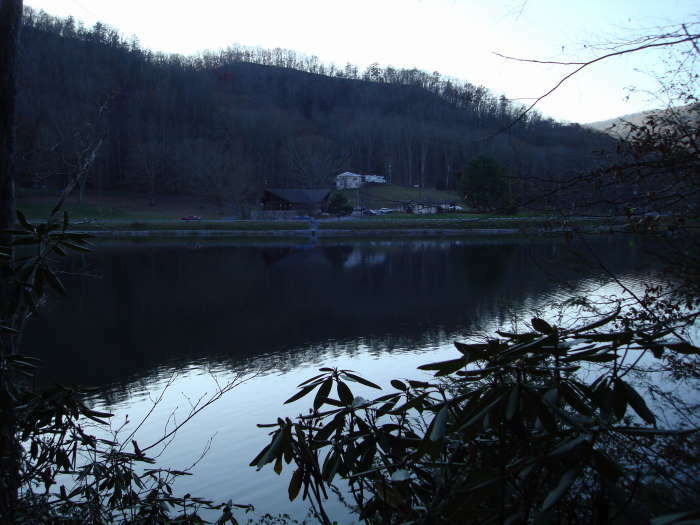 I went early enough in the spring that the camping was not crowded, but late enough that the canoe rentals were open. 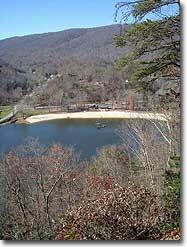 I would recommend this to anyone who wanted a weekend away from Northern VA with good hiking, camping, and water activities. The town also has a drive in movie theater! 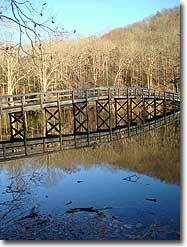 Finally, you're adding some hikes in southwest virginia. 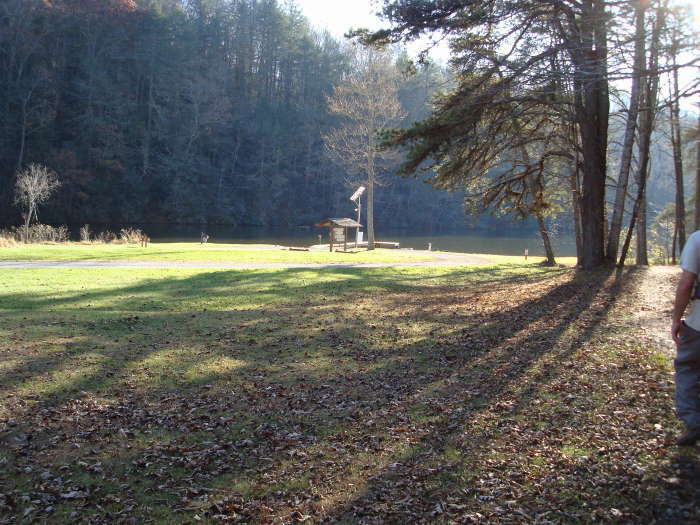 Since my parents moved to Marion a few years ago, I have been to Hungry Mother State Park many times. For a small park, it's certainly a gem for nature. For a longer hike, I recommend extending this one with the full loop around the lake. You won't be disappointed.